Press F12 on this browser window. Or Hamburger Menu→More Tools…→Developer Tools→Console. Now you should see something like the following image, and do note which "tab" is selected, and if different, click on the correct one! and press enter. Result? 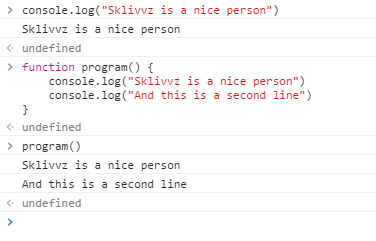 The computer knows how to treat me right. I also am publishing a series of beginners posts, starting with variables here.